A great image of the beautiful Connie Smith taken in the early 60’s. Connie Smith is a singer’s singer—a veteran country music performer whose distinctive phrasing, wide range, and powerful delivery are widely admired by fellow performers ranging from Dolly Parton to Merle Haggard to Keith Richards. She has been influencing other artists since launching her own recording career in Nashville in the early 1960s. This influence, as well as her artistic accomplishments, were recognized with her induction into the Country Music Hall of Fame in 2012. Constance June Meador was born in Elkhart, Indiana, on August 14, 1941. Her parents were migrant farm workers. When Connie was a little girl, her mother divorced her abusive father and remarried. Her stepfather was an amateur musician. Connie grew up in West Virginia and Ohio in a large family of 14 brothers and sisters. Despite the financial struggles of her family, she applied herself at school and graduated as salutatorian of her high-school class. 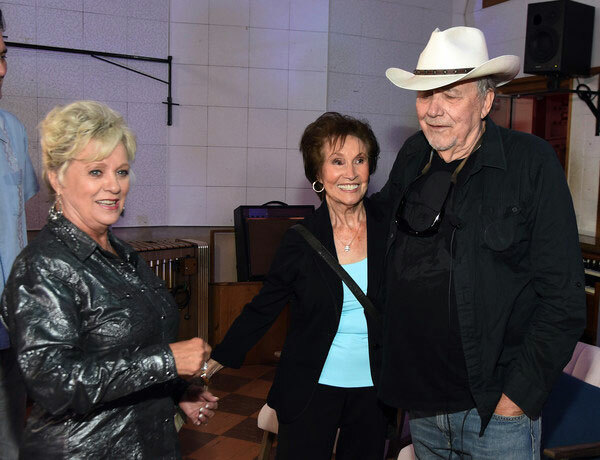 While growing up, she developed a great love of music—not only of such country singers as Kitty Wells and Jean Shepard, but also of the renowned jazz stylists Sarah Vaughn and Nancy Wilson. She sang at local events as well as on regional television programs, even after becoming a young housewife and mother in the early 1960s. As part of winning a talent competition in August 1963, she won the chance to perform with stars from the Grand Ole Opry at a show in Columbus, Ohio. During that show and during a show a few months later in Canton, Ohio, Opry singer Bill Anderson was so impressed with her that he invited her to come to Nashville and record some demos. In June 1964, guitarist and music executive Chet Atkins signed her to a recording contract at RCA Records. 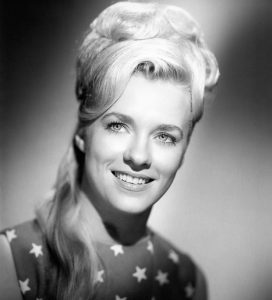 Smith scored a number-one hit in late 1964 with her first released single—“Once a Day,” which was written by Bill Anderson. The song made country music history as the first debut by a female singer to chart at the top spot. It stayed at the number-one position for eight weeks and was eventually nominated for a Grammy Award. Ironically, it would be Connie Smith’s last number-one song. Connie singing “You and Your Sweet Love” on Hee Haw in 1970. Connie’s recording of “Just One Time,” which reached number-two on the country charts in 1971. Connie Smith backstage with friends Jan Howard and Bobby Bare. Most of Smith’s hit songs were in the vein of traditional country music, though her jazz influences could be heard in some of her emotional, moody phrasing. Many of her songs were also characterized by a prominent pedal steel guitar, usually played by Weldon Myrick. In addition to performing on records and in live shows, Connie Smith also sang in a number of movies and on television programs in the 60s and 70s, including the films Las Vegas Hillbillys (1966), Hell on Wheels (1967), and The Road to Nashville (1967). Smith then took a long break in her recording career during which she focused on her family and her faith. Her daughters, Julie, Jeanne, Jodi, and her sons, Darren and Kerry, all share their mother’s love of singing. Smith did not release another album of new material until 1998’s Connie Smith, which was produced by country singer, songwriter, and instrumentalist Marty Stuart. Stuart had become Smith’s fourth husband the previous year. The marriage was unconventional in the sense that Smith is 17 years older than Marty Stuart. But the marriage has been one of the great real-life love stories of country music ever since. When you visit the Willie Nelson and Friends museum you’ll see a great exhibit that was actually put together by Marty and Connie when they brought all the memorabilia for the exhibit. It even includes a great video Marty made for the museum that features Marty and Connie describing how they met on stage at her concert in Marty’s hometown when he was only twelve years old and ultimately married some 25 years later. It’s a great video and one you don’t want to miss! The couple’s musical collaborations yielded a number of songs that Smith and Stuart wrote together. The writing allowed Smith to pursue an aspect of her creativity that she had previously neglected. Most of her classic recordings were written by others, including such preeminent writers as Bill Anderson, Harlan Howard, Johnny Russell, and Dallas Frazier. Smith was a regular performer on her husband’s television show, The Marty Stuart Show, from 2008 to 2014. Connie and Marty performing “Blue Heartaches” in 2011. 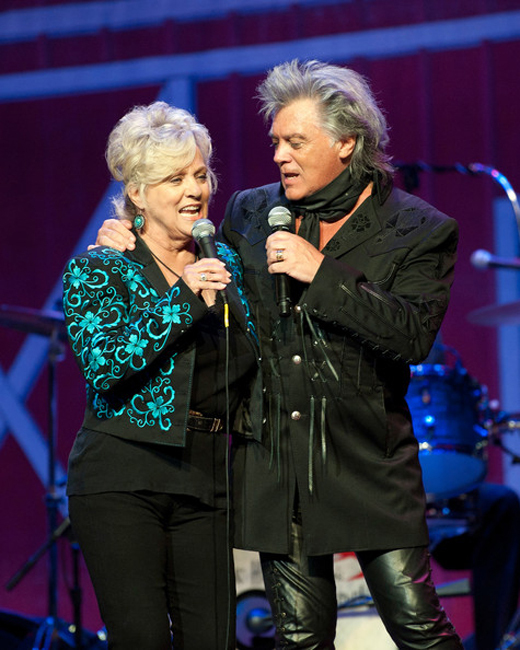 Connie and Marty performing “Looking For a Reason” at the Country Music Hall of Fame in 2011. Connie and Merle Haggard singing “A Place to Fall Apart” live in concert. In 2003, Connie released a Christian album, Love Never Fails, with fellow singers Sharon White Skaggs and Barbara Fairchild. Smith’s 2011 country album, Long Line of Heartaches, was singled out by Merle Haggard as one of his favorites during his 2012 speech inducting her into the Hall of Fame. It was the fifty-third album of Smith’s career. 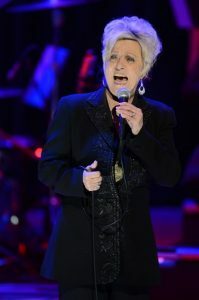 Connie Smith singing during a performance at the Country Music Hall of Fame Medallion Ceremony in 2013. Connie Smith is a great talent and very nice lady. Be sure to read more about her at the following links. If you’re in Nashville be sure and catch her performing at the Grand Ole Opry, you’ll be glad you did! Connie’s official website, Hall of Fame Induction detail and her discography.